After taking in a whopping $153.5 million in its second weekend at the box office this weekend, Star Wars: The Force Awakens has set yet another record, becoming the fastest movie in history to surpass $1 billion worldwide. Disney and Lucasfilm's blockbuster achieved the milestone in just 12 days, beating Jurassic World's record of 13 days. Here's what Disney distribution chief Dave Hollis had to say in a statement to The Hollywood Reporter. "The speed with which records are falling is a testament to the audience broadening out. And you're seeing extraordinary repeat business. We know anecdotally there are people who are seeing the movie three and four times. Everybody wants to be part of something that has become a cultural phenomenon." Star Wars: The Force Awakens has earned $544.5 million domestically and $546 million internationally during its theatrical run so far, for a worldwide tally of $1.09 billion. It is currently the second biggest movie domestically this year behind Jurassic World's $652.2 million theatrical take, but director J.J. Abrams' blockbuster should have no trouble besting that tally in the days and weeks ahead. Jurassic World ended its theatrical run with $1.6 billion worldwide, a figure Star Wars: The Force Awakens should have no trouble surpassing. Star Wars: The Force Awakens' box office records include biggest opening weekend and biggest December debut of all time ($247.9 million), biggest second weekend of all time ($153.5 million), biggest Thursday preview gross ($57 million), biggest Friday, opening, and single day ($119.1 million); biggest Sunday ($60.5 million), Monday ($40.1 million), Tuesday ($37.3 million), and Christmas Day ($49.3 million), highest per-theater average for a wide debut ($59,982), biggest IMAX debut ($30.1 million) and fastest film to reach $100 million (1 day), $200 million (2 days), $300 million (5 days), $400 million (8 days), and $500 million (10 days). We'll have to wait and see if Star Wars: The Force Awakens has the longevity to best Avatar's all time domestic record ($760.5 million) and worldwide record ($2.7 billion). It's possible that Star Wars: The Force Awakens could break the record of most weeks ever at #1, set by E.T. the Extra-Terrestrial in 1982 with 16 weekends, which also holds the record for most consecutive weekends at #1 with 15. 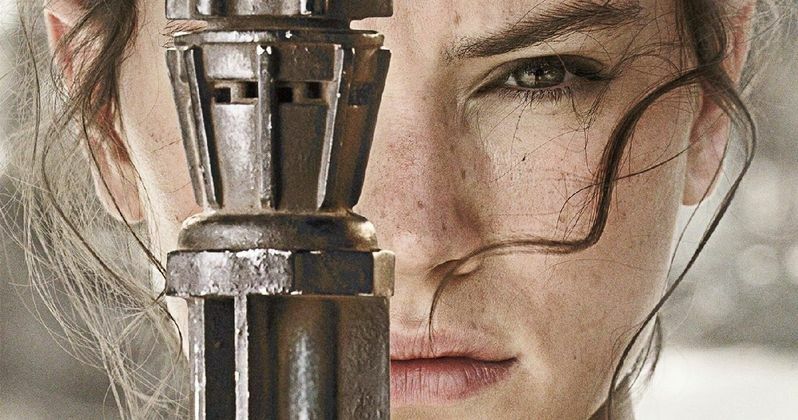 Do you think Star Wars: The Force Awakens has a shot at breaking all of the major box office records by the time its theatrical run has come and gone? Chime in with your thoughts, and stay tuned for more on Star Wars: The Force Awakens.